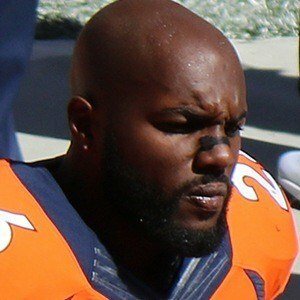 Free safety who is famous for his career in the NFL, including for the Denver Broncos with whom he won Super Bowl 50 in 2015. He was named to his first Pro Bowl during the following 2016 season as the Denver Broncos' starting free safety. He played college football for the South Carolina Gamecocks between 2006-2010. He was signed as an undrafted free agent by the then-St. Louis Rams in 2010. He was an originating member of the 2015 Denver Broncos' secondary known as the No Fly Zone. He also played for the Baltimore Ravens at free safety in 2014. He married his wife Whitney in 2014. He played as a member of the vaunted No Fly Zone alongside Bradley Roby, Aqib Talib, and TJ Ward.